Ever looked at your credit card bill or bank statement in despair? Ever wondered how to get the things you buy for a cheaper price? I know I have. That’s why I volunteered to read and review a copy of Deepak Tailor’s book How to Live for Free in exchange for an honest review. 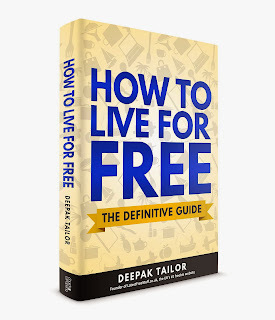 As the founder of the UK’s most popular freebie website - latestfreestuff.co.uk - I expect Deepak Tailor to have a lot of tips and tricks under his belt already. Despite this, he still spent three years researching, interviewing, and travelling the world to discover and unearth the best ways to live for free. The result is a definitive guide to living for free. The book is divided into handy sections, featuring everything from free restaurant meals to free clothes to free cinema tickets. This makes it clear and well-organised, making it easy to find specific sections and navigate through the book. It’s also interactive, with a helpful checklist at the end of each section and steps to follow for every item. If you follow each tip as you read, you will end up equipped with a wide variety of ways to live for free by the time you reach the end of the book. This gives the book a nice tone. It’s conversational and friendly and is an exception among other books on the same topic. This is because it has a proper narrative weaved throughout. Deepak enlivens the information by talking about his own experience and giving relevant anecdotes in each section. This prevents it from being just a collection of lists, and gives the book a proper personality. The problem with breaking everything up into small sections is that some areas get a little glossed over. I would have liked some parts of the book to have been more in-depth with some more specific examples, but overall the book is a good general introduction to free living. It’s also good to have real-life case studies and useful tips from real people who have actually experienced the things they are talking about. This makes the book more honest and open, making you more likely to follow the advice because it’s obviously worked for these people. However, I would personally have liked some pictures of the things that are mentioned. This would have been especially useful in the sections featuring the DIY and upcycling projects, as images are much more useful than a brief written description in this case. My biggest criticism is that it doesn’t all seem entirely plausible and attainable. Some of the sections are too far-fetched for ordinary people, such as the story about the man who managed to (illegally) live in luxury London flats for two years. Similarly, a lot of the book seemed to be aimed at those who live in London and are well-connected with a wide network of friends and acquaintances to draw on. I was also a little put-off by the idea of learning to sail a yacht then joining a crew to sail around the world. On paper it sounds harmless enough, but when you think how that advice could turn out for me (an almost 21 year old girl) you start to see the problems with that suggestion. So is it really possible to live entirely for free? Here’s the answer. If you’re truly dedicated and committed to the free lifestyle… then probably, yes. 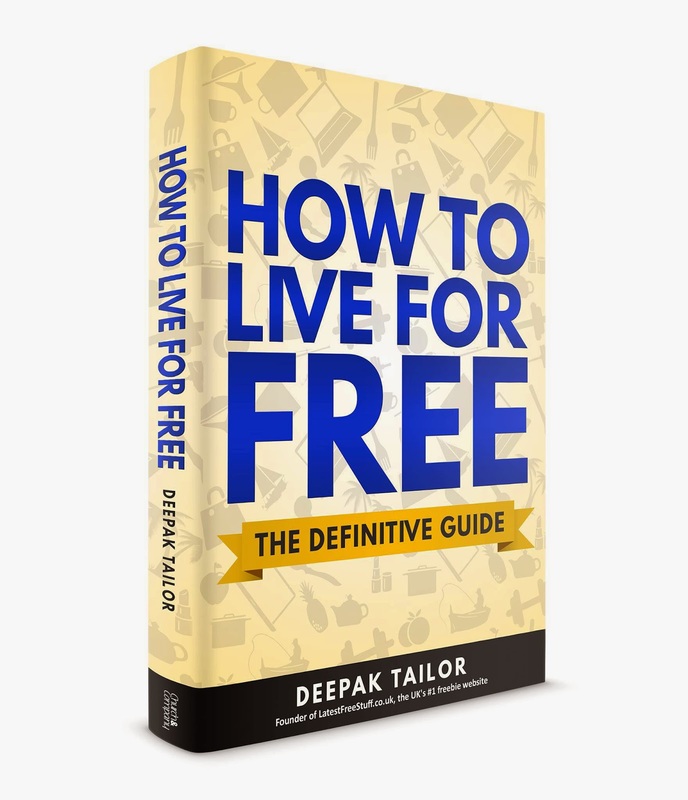 How to Live for Free by Deepak Tailor is available to buy on Amazon now. Have you read How to Live for Free? What do you think? Let me know in the comments below!